Just text our production team on 07792820956 for a fast quote with the size and quantity of banner/s you would like. Or you can email us at sales@branditgb.com with your requirements. We use premium outdoor use banner material to ensure durability and longevity and our HP Latex printers run at a high resolution 1200dpi. Also if you use us to install your banners you get a further 15% off the cost of your banner printing! We do offer different types of banners for different applications. The vast majority of places call for a hemmed and eyeletted banner which is the most common type of outdoor banner. 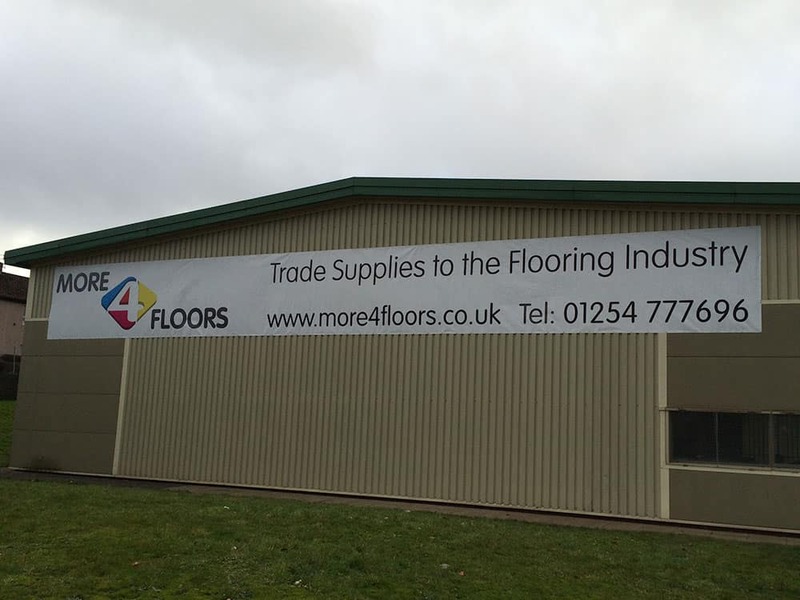 We also can do temporary banners which are really useful when budget is a real concern, although these are intended for indoor use and certain outdoor applications. We can also print mesh banners, which we have supplied and installed throughout Manchester. Mesh banners are very useful when banners are secured to a surface with a lot of wind flow, like wire fences for example. The mesh material is perforated which allows the wind flow to pass through the material and decreases the pressure on the fixings where the banner is secured. The wrong banner material choice is the main reason banners fail in bad weather and you should always discuss this with us so we can advise you on the best material for your application. Interested in our banner printing? Get in touch with our team for a FREE quote on 0161 884 0572 or send us an enquiry online. Call us on 0161 884 0572 for a FREE quote.